In case you didn’t notice, Ford has been dominating the high-performance muscle car game. No, the Corvette is not a competitor to the GT350, they are in completely different leagues. The Camaro is currently being absolutely crushed on and off track by the GT350. Lots of people dream about owning a GT350 or GT350R, but what’s the difference? Well, they are extremely similar, but there are a few key differences. As cool as it would be for the R version to have an even more insane engine, it doesn’t. The GT350 and GT350R share the same insane 5.2L flat plane crank V8 that outputs 526 horsepower. Engine, transmission, and everything associated with the power train is 100% identical between these two. Pretty hard to beat that engine, especially for the price of the GT350 and GT350R. 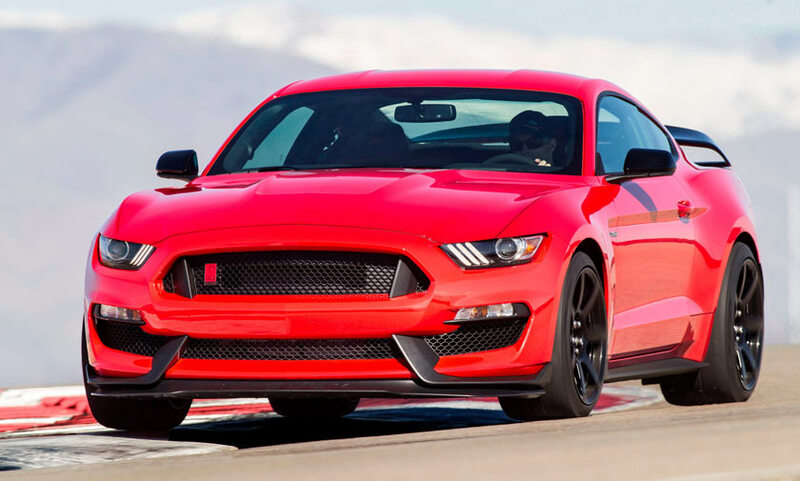 The GT350 is a track focused Mustang model, and as such has far stiffer suspension than the standard Mustang models. The GT350 and the GT350R share the same exact Magneride suspension setup. There is absolutely no difference in the suspension setup, although many journalists say the GT350R feels stiffer, we’ll get to that in just a minute. RELATED: Chevy LS vs Ford Modular: Which One is Better? The GT350R is the first ever vehicle to come with “production” carbon fiber wheels. This is why some journalists think the GT350R feels stiffer overall. I put production in quotations, because other cars have carbon fiber wheels, but aren’t considered production e.g. Koenigsegg. The wheels on the GT350R are mass produced which has never been done before. This gives hopes for future high-performance cars that don’t cost $250k+ to have carbon fiber wheels. I hope you weren’t really concerned about the interior differences between these two. After all, they are both track focused cars, and the interior is the least important part. If you must really know, the GT350R doesn’t come with A/C or back seats. These can be added with an optional package when buying the GT350R. Other than that, they are identical to each other on the inside. If you are even looking at purchasing one of these, this better be one of the main reasons why. These cars are designed to be as fast as possible on a race track. They are stiffer than the stand Mustang, have way more aerodynamic parts, massive brakes, and beefier tires. 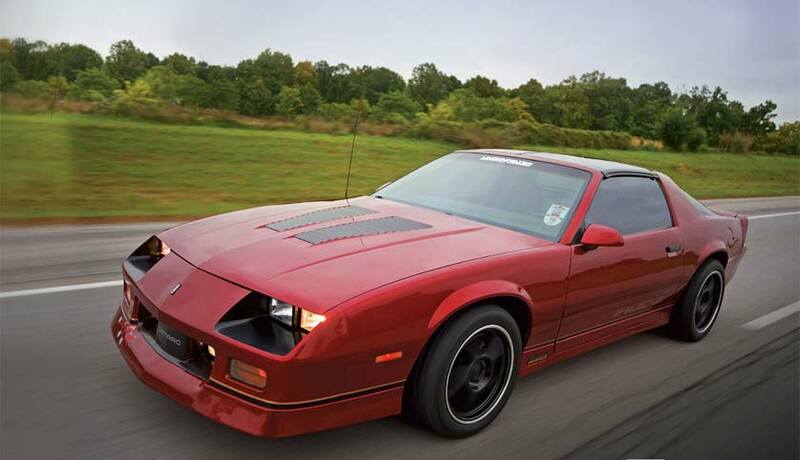 RELATED: LT1 vs LS1: Which One is Better and Why? The GT350R’s carbon fiber wheels show how awesome they are on the race track. Since they are lighter, there is less rotating mass. Less rotating mass means braking performance is improved and so is handling. The GT350R’s more aggressive aero also helps it out-corner the standard GT350 at high speeds. Further more, the GT350R comes with stickier, barely road legal tires to further enhance its track performance. So why can you get one of these insane track cars for? Well, they are actually an extreme bargain for the amount of performance you are getting. I know at the beginning I said that the Corvette is in a different league, but on the track, they are nearly as quick as each other. The GT350 starts at $50k, and the GT350R starts at $63k. Unfortunately, none of them are actually near that price. Most dealerships are marking them up to increase their profits. People are willing to pay for the markup price so they continue to overcharge. Ford discourages their dealers from doing this, but can’t stop them. GT350s can be as much as $115k thanks to the dealer mark up. Overall the GT350 and GT350R are extremely similar in many ways. The main differences are carbon fiber wheels, back seat delete, A/C delete, and more aggressive aero. The GT350R is also rarer, making it more of a collector’s item. 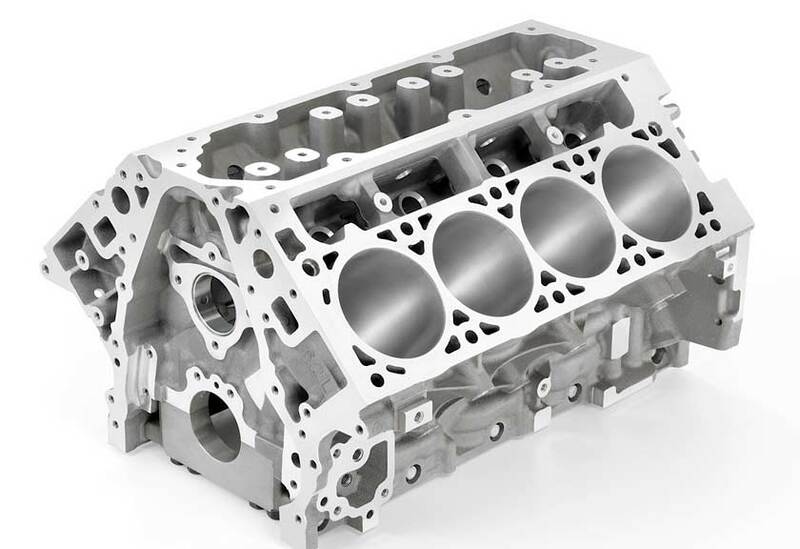 LT1 vs LS1: What’s The Real Difference? I’ll take a z06 anytime. Vette is the car u can bet!! There are some aero differences as well. The GT350R comes with a carbon fiber rear wing and the front splitter is larger. I believe that the wheels and tires are slightly larger with the 350R. Both of these differences adding to the emphasis of these being track monsters. Yes and all you ZO6 lovers can enjoy watching the other eighteen to twenty five thousands others as they drive around town in theirs as well and spend more money for less performance I’ll take the GT350R over any production corvette and for those who are in thought of buying the ZO6 roadster package go ahead I don’t mind just keep in mind those of you who enjoy seeing everyone that can build a Chevy are a dime a dozen but us ford guy’s have been there done that and know that ford does a better job every day!